Mail Methodology. Eco-friendly practices find their way into the postage. .
Print providers that maintain a commitment to environmental sustainability are aware of the responsibilities they must adhere to on a regular basis. Proper processes are imperative to upholding certifications or even the reputation of being a “green” print provider. Customers take notice and so too does a company’s purse strings. Integrating digital print systems from manufacturers that offer cartridge buy-back programs or those that work with eco-friendly toner while still providing high quality output as well as reliability is a favored method of eco-conscious print providers. Postal Presort Inc., based out of Wichita, KS, chose to partner with such a hardware manufacturer when launching a new service offering in 2013. Postal Presort celebrates 30 years in business. In the beginning, it was strictly a First Class presort bureau and then a full Standard and Non-Profit letter shop. In 2000, it identified the need for digital and in the next ten years watched as its presort model revenue declined 70 percent while its digital revenue exceeded traditional presort. Today a staff of 39 works out of a 16,500 square foot facility and was integral in the inaugural launch of Postalocity.com in 2013. The second generation debuted in 2014 and there are plans to introduce a third generation of the product by early 2016. Postalocity is a universal Web mailing portal available to any citizen or business. Printable documents can be uploaded in any quantity by multiple customers, and then all are output into a single mail production stream. The output is mailed First, Certified, Standard, or Non Profit Class. The goal of Postalocity is to “bring professional document outsourcing to the small to very small mailing client,” says Bryan Pulliam, owner/president/CEO, Postal Presort. He explains that most businesses are small volume mailers that are underserved or not served at all when it comes to mail outsourcing. Postalocity is highly automated, but still variable—allowing any document to be built with individual specifications by accessing a citizen’s or business’ own personalized Web portal. Mail is prepared for USPS acceptance prior to print, with all mail relying on indicia or printed stamps. It is then printed and/or entered at a print center closest to the delivery destination. 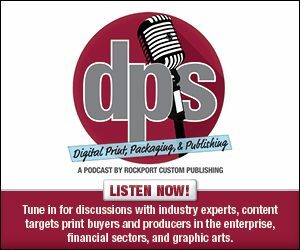 There are plans for nearly 30 print centers in the U.S. that will produce Postalocity mail, and a global network will soon be in place for multiple countries. This document outsourcing model reduces transportation significantly, which impacts “mail to postal service entry, paper-to-consumer reduction and consolidation, and reduction of adhesive stamp manufacturing,” shares Pulliam. When Postal Presort examined its options for printing mail that ran through the Postalocity system, it reached out to Canon USA, Inc. because of its previous experience with Océ printers. Initially its first Océ printers were purchased prior to Canon fully integrating Océ. As Pulliam says, it lived through the Canon integration and has always had positive experiences with the company. “We respect Canon as a premier manufacturer of all things printing. They have consistently proven they are the type of partner we want to work with. The equipment stands on its own,” he adds. The hope is as Postalocity expands, many or all of the print centers will work with Océ printers. Three Océ VarioPrint DP6250 printers are in the KS location for a couple of reasons, many of which revolve around sustainability. First, the VarioPrint engine uses high pressure rather than heat fusion when applying the toner, which removes heat from the printing process. “This was presented and sold on the basis of cost savings of electric use within the machine, and the reduction of heat-related issues in the printing cycle. But, we recognized additional savings that were not presented, in the reduced amount of environment control needed within the print production area—less ventilation, air conditioning, and noise control,” adds Pulliam. Secondly, the Océ VarioPrint presses use solvent-free toner. No developer or silicon fuser oil is used and there is no toner waste, eliminating the need for a toner waste bottle. Postal Presort also owns three Canon imagePRESS C7011 VPS units for color production. In addition to the printers, Postal Presort is dedicated to working with paper products—envelopes, print stock, and remit envelopes—that are sourced to be certified by sustainable forestry entities. To convey this commitment, it displays sustainable forestry logos on all of its envelopes. Day to day, the company enacts several different processes that maintain its focus on sustainability. It subscribes to a service that collects paper waste for shredding and recycling. The building was rewired to selectively light areas only when needed. Mail-in recyclable opportunities are used. It utilizes digital thermostats to ensure off-hour reduction of AC and heating. “We are committed to moving toward 100 percent digital transmission of mail, completely eliminating our legacy business model that involves much ground transportation. In converting our clients to this form of mailing, we will improve their own sustainability profile, in that they will use less electricity, eliminate mailing machines, inks, acquisition, and transportation of papers and envelopes,” shares Pulliam.